← Professional Photographers LOVE Painter! We all know how important technology is to education. Schools and other educational institutions have relied on technology, including creative software, for years. It is impossible to put together a curriculum, collaborate and keep students engaged without the use of technology. Unfortunately, education budgets have not increased at the same rate as the price of this technology. To make matters worse, many software companies have moved to strictly cloud-based purchase options, forcing customers to pay more overtime and only allowing them to rent the software. This is where Corel comes in. Corel recently signed an agreement with the Midwestern Higher Education Compact (MHEC) to provide significant discounts on creative software to education institutions, helping them to stay within budget. 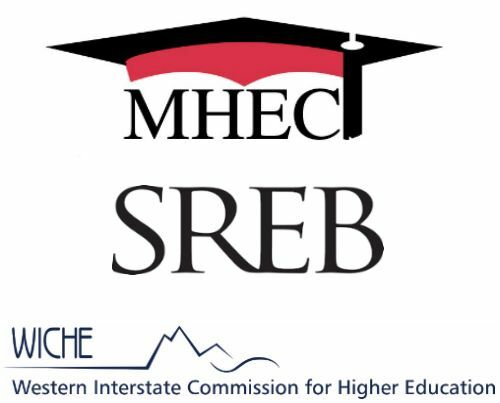 The agreement also includes the Southern Regional Education Board (SREB) and the Western Interstate Commission for Higher Education (WICHE). As a result, educators across the United States will have easier access to creative software that will keep their curriculum fresh and relevant. If there is one thing more important in education than technology, it’s flexibility. There are so many different ways to develop a curriculum, or to keep students engaged. Educators need to find the solution that works best for them, and it may be very different than some of their colleagues’. Corel provides educators with more options, allowing them to design their course their own way, without software limits or purchase restrictions. Flexibility is not only important to educators, but students as well. Every student learns differently. Therefore, every student should have a say in their educational experience. With more choice in the software they use, and easier purchasing options, Corel helps students tailor their own education rather than tailoring their learning style. Jon Riis, our VP of North America License & Channel Sales, strongly believes in providing the educational community with easy access to software, which is why this deal is so important to him. This deal will help ensure that more educators and students have the access to the technology they need. After all, education should have no limits. If you are looking to add creative solutions to your curriculum, or to learn more about our education options, check out the software solutions we have to offer. If you would like to learn more about the agreement, you can check out our FAQ. This entry was posted in News, Technology and tagged Corel, Creative Software, Education, MHEC, Midwestern Higher Education Compact, Southern Regional Education Board, SREB, technology, Western Interstate Commission for Higher Education, WICHE. Bookmark the permalink.